In Part 2, I will take you through the boiling, finishing, and canning stages of the maple syrup making process. The Part 1 blog post from last month can be found here. Once you have collected enough sap (I wait until I have 20 gallons of sap ready to go) it is time to boil. This year, I am debuting a new evaporator made from an old oil barrel, but I have used concrete blocks in the past and an old fire pit. 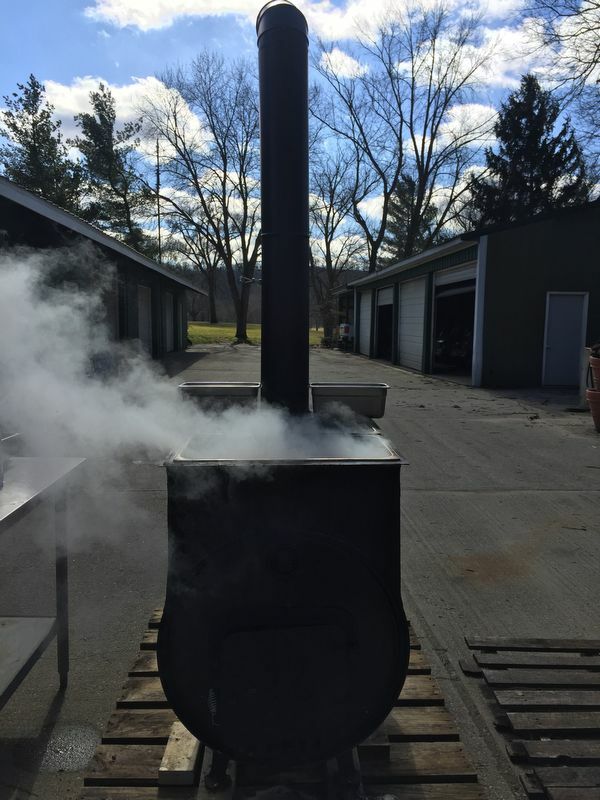 If you don’t want to build anything, a propane turkey fryer works great as well. The only issue is that boiling takes a good portion of the day, so propane can get quite expensive. Boiling inside on the stove is not a very good option unless you have a very good hood vent. Remember, you are boiling many gallons of water off, thus mold quickly becomes an issue. Sap boiling on the evaporator. Once you’ve boiled down the sap to fit in a stock pot, you can take the rest inside and finish it on the stove top as you need to have greater control as you get closer to syrup. This is also the point in time where it’s important to monitor temperatures. True maple syrup boils at 7.5ºF above water. Obviously, you want to make sure to account for elevation, so it’s important to check what the temperature is at your particular location. I boil right at 212ºF so 219.5ºF is my target. 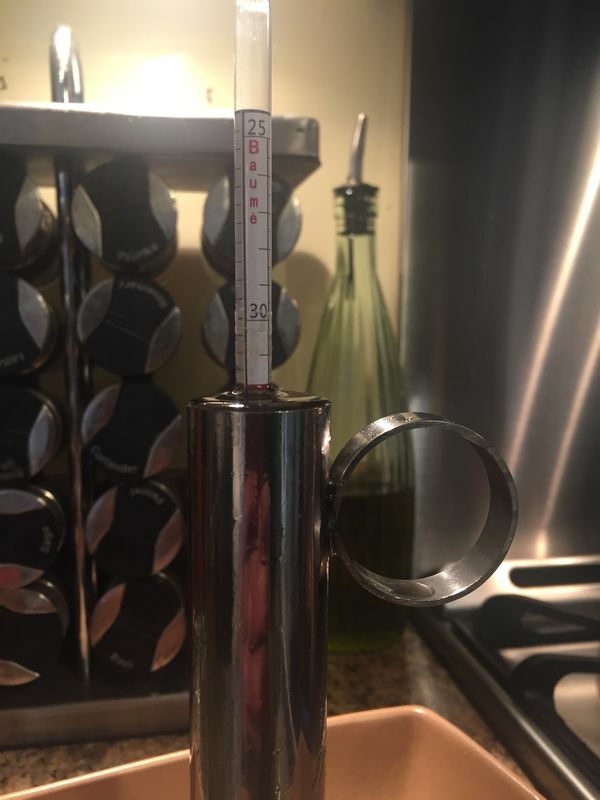 As an added measure, I like to test with a Syrup Hydrometer to 32º Baume, hot. At this point, you know that you have pure Maple Syrup and it’s time to can it up. 32 degrees F Baume = Syrup. The canning process is very simple. You just need to exercise caution because you are dealing with a very hot liquid, and of course, it’s sticky. I run my finished syrup through a synthetic cone filter to remove the sugar sand byproduct that develops during the boiling process, but this is not a necessity. Finally, once you’ve filled you cans, you will want to make sure to let them cool on the counter, flipping them upside down to sanitize the lid and seal the jar. Once in the jar, the syrup will keep for up to a year in the pantry. It’s very important that as you go along with the process, you need to recruit expert opinions with regards to quality control testing. 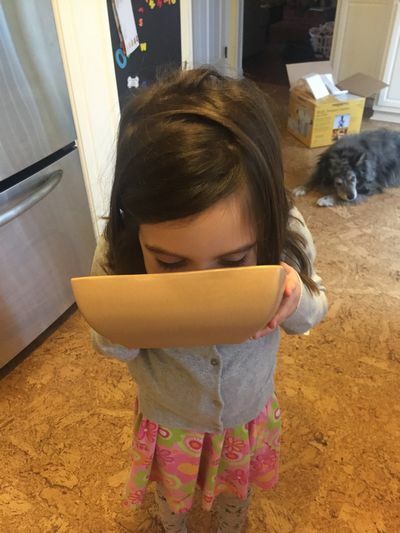 Quality control is taken very seriously! As the season moves along and you do more batches, you’ll also notice that the syrup will change. The first batches will be lighter in color with a more delicate taste to it and the last few will be very dark and thick. There is a lot that goes into grading syrup with clarity and color, but rest assured: it all tastes good. As a general rule, however, I like to use the first batches for pancakes/French toast/waffles and the later batches for glazes and sauces. 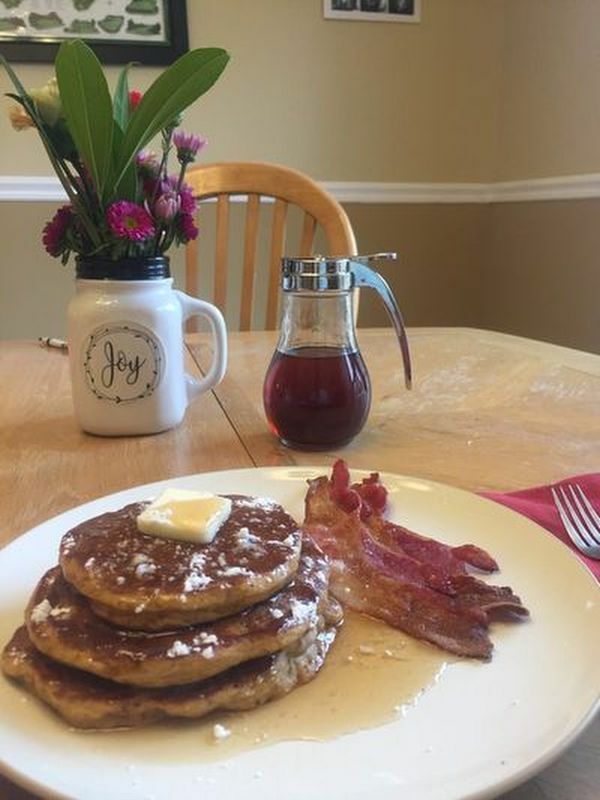 As you can imagine, there are many great uses for maple syrup, aside from the traditional pancake breakfasts especially when an accomplished chef gets their hand on it! For instance, if you came to the club for the Valentine’s Day dinner, Chef used the syrup to flavor the sweet potatoes! At home, we even like to cook Brussels Sprouts with maple syrup, which the kids love! Batches from left to right: early, mid, and late season. 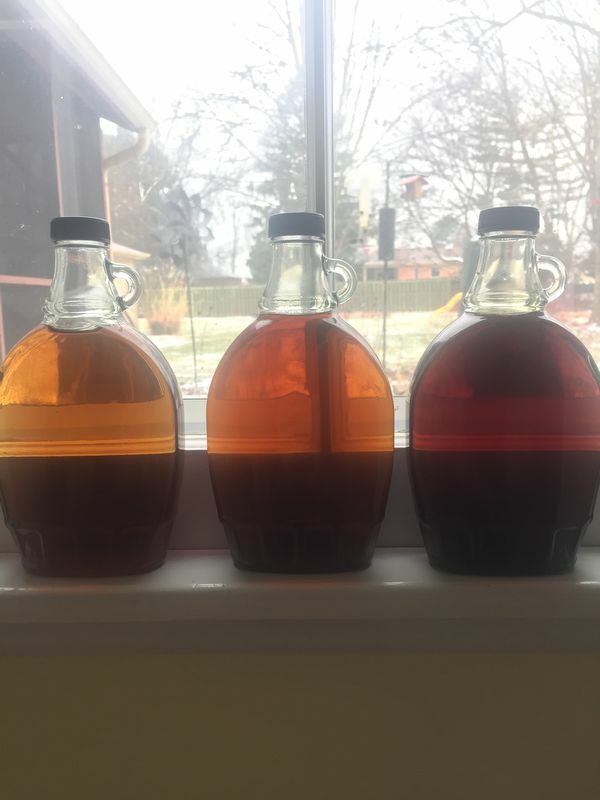 As you can see, it takes a lot of time and a lot of sap to make just a little syrup (that's why it can be expensive) but the finished product is delicious and the process can be fun and educational for all ages. 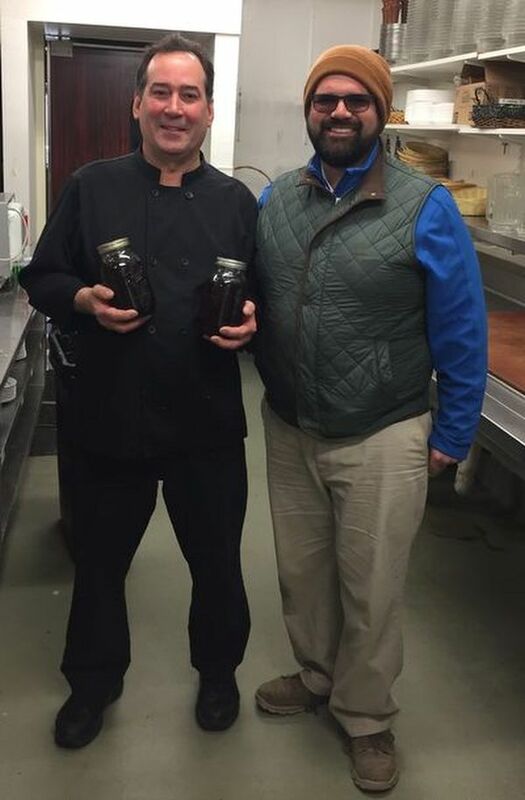 Delivering the fresh syrup to Chef Jay. 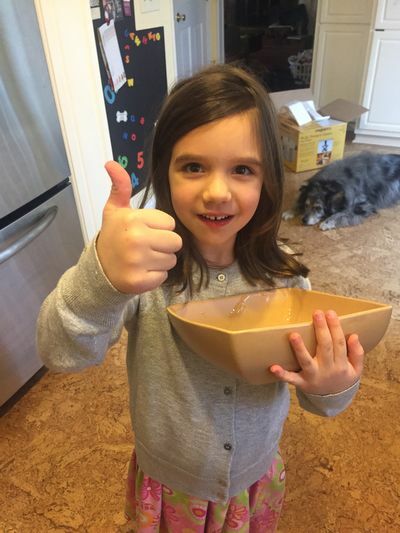 I hope you enjoyed reading a little about the process of making maple syrup. And more importantly, I hope you make sure to keep an eye out on the menu to see how Chef Jay puts it to use! If you have any more questions, as always, please feel free to send them my way. There is a lot involved with the process! Enjoying the delicious fruits of my labor!